Starting a business may sound easy but managing the business is not one of the easiest things to do. It is about making sure that everything is in place and functioning perfectly. It is about keeping a momentum to ensure that everything works as planned. If you are new to the business or have a business that is doing well, you can use these tips to move forward. 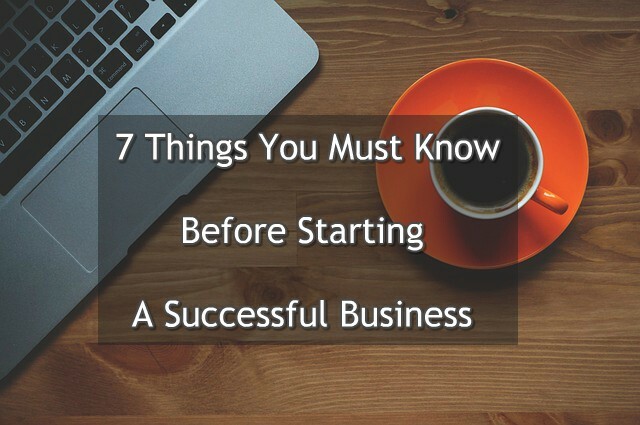 Here are some tips for you to start a successful business. Build a strong workforce: For you to achieve success in your business, it is important to have the right people working with you. The workforce should be driven and expert at their job. You need to get rid of the employees who are not putting in the required work and have a strict process of interviewing and recruiting. You need to learn about the experience and expertise of the individuals before you hire them. Enhance the office: Your office is your business and it is the place where you will be spending maximum time. You need to build a practical space where your employees can work from. It will leave a good impression on the outsiders and also boost productivity. The layout of your office is something you should pay attention to. Ensure that there are enough light and ventilation in the space. Make it comfortable for the employees. Expand: If you want to achieve success in your business, you need to target the global market. You should enter the foreign market with your products and services and ensure that they are targeted towards the right audience. Online shopping has made it easier for consumers to purchase your products from the comfort of their home. You will be required to improve the logistics in order to make the process convenient for the buyers. Work on your website: Consumers build their first impression based on the layout and design of your website. You need to have a strong online presence even if you do not sell your products online. When you have a good website, the consumers have access to your information throughout the day and this can help you generate sales. It is important to have a website that is easy to navigate and has a simple layout. Do not complicate the website with unnecessary information and try to keep it clean and presentable. Write a blog: There is no denying the fact that quality information attracts consumers. There are a number of benefits of blogging which is something you need to consider in order to grow your business. Blogging can help you get more traffic and will also show the customers that you are a trustworthy company. It is important to update the blogs from time to time. If you are unable to create the content yourself, you can hire a writer who has an experience in the industry. http://womensbusinessdaily.com/business/keys-successful-business/ can help you understand the importance of blogging and using the right keywords to remain at the top of the search engine results. Tap into digital marketing: Starting a business may be easy but marketing the same is another level of planning and organizing. For you to succeed in the business, you need to connect with the right people and build a marketing strategy that helps you convert the leads into buying consumers. There are a number of strategies used in digital marketing and you can choose the one that best fits your needs. You may choose to hire a professional agency to set up a marketing strategy for you. It will help you work on the SEO and generate revenue through different strategies like pay per click. Understand how social media works and build campaigns that help pick up sales. If you want to achieve success in your business, you need to understand the market you are operating in and target your audience. When your marketing strategy is directed towards a specific audience, you know you will be able to achieve a higher conversion rate. Digital marketing does not mean pushing a lot of money into the business; it is a cost effective means of marketing which uses social media channels to reach out to the consumers. Start with building a strong team that is dedicated towards their work and move towards your goal. With every campaign, you will be able to achieve success in order to achieve the long term goals. Successful businesses work as a team and have a strong leader guiding them.